Hours of valuable training filled with up-to-date chemistry data - helping you master the key points and concepts of chemistry. 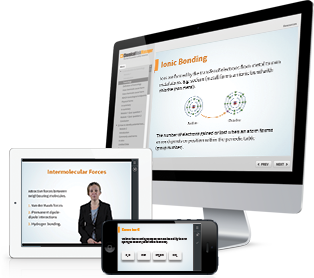 Professionally-designed pages of content combined with audio explanations and videos - providing a self-paced course that supports trainees’ different learning styles and walks you through the key concepts. 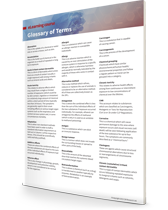 An extensive glossary of terms - helping you decipher key terminology. 8 Course Note handouts - for further reading and to help you revise the material on and offline. 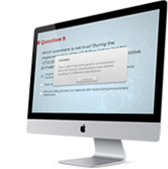 Self-assessment quiz questions and exercises - helping you measure whether you’ve met the learning objectives for each section of the course, giving instant feedback on your progress.